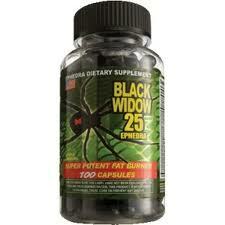 Black Widow 25 contains 25 mg of ephedra. This supplement is banned under the laws passed by the Food and Drug Administration that control the sale of ephedra. Black Widow 25 by Cloma Pharma has a unique blend of natural ingredients. 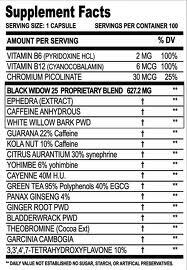 Black Widow 25 is a full powerful ECA stack with a strong dose of Ephedra, Caffeine and White Willow Bark in each pill. Take one capsule daily after meals. Do not exceed more than 3 a day. You must stay hydrated as with all thermogenics, for both effectiveness as well as safety. Contains caffeine, green tea and chromium � proven to improve weight loss success. All ingredients are listed online. May contain a banned form of ephedra. Contains eight stimulants aside from ephedra. 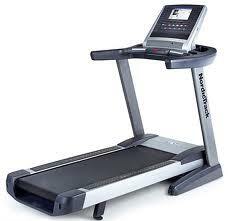 May cause irregular heart rate and hypertension. Black Widow 25 is not suggested for individuals below the age of 18. Also not suggested for pregnant women or when nursing a newly born baby. Please consult a physician before using the product if you have, or have a history of, heart disease, thyroid disease, diabetes, high blood pressure, recurrent headaches, depression or other psychiatric condition, glaucoma, difficulty in urinating, prostate enlargement or seizure disorder, constipation or if you are using a monoamine oxidase inhibitor (MAOI) or any other dietary supplement, any prescription drug or over-the-counter drug containing ephedrine, pseudoephedrine or phynelpropoanolamine. If you try to exceed the recommended serving size, there won�t be any improved result, and it may cause serious adverse health effects. You may discontinue the use of the supplement and consult your family physician in case you experience any inability such as problems related to heartbeat, dizziness, severe headache, shortness of breath or similar symptoms. 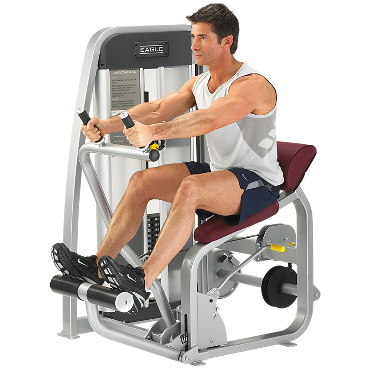 �IMPROPER USAGE OF THIS PRODUCT MAY BE DANGEROUS TO A PERSON'S HEALTH�. In case of accidental overdose, call a physician or a poison control center immediately for treatment and necessary action.